With the ControlCenter-Compact 48 KVM matrix switches, you can operate up to 47 computers over up to 49 simultaneous user modules depending on the variant. 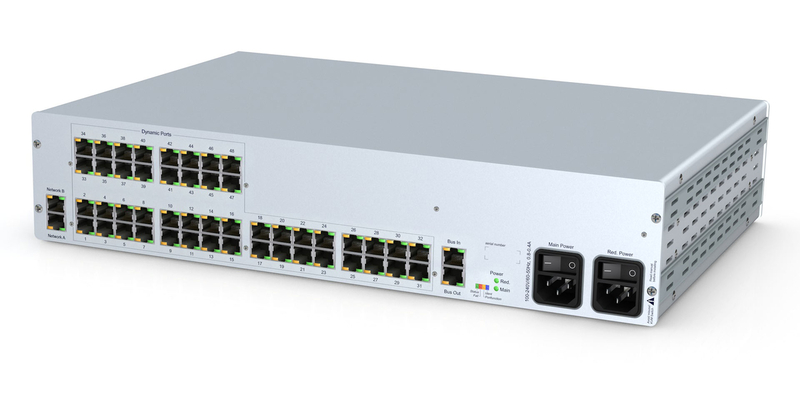 The 48 available ports can be combined as desired. By using the appropriate computer and console modules, the ControlCenter-Compact can switch various signals e.g. DVI, DisplayPort, VGA, USB2.0 and many more. Thanks to its dynamic ports, the ControlCenter-Compact can be applied in any applications where many computers are operated over multiple simultaneous consoles. The system's modular design enables you to adjust the functions of the ControlCenter-Compact to any increasing demands. The system is applied, e.g., in control centres, OB vans, or studios.